New version Weapon pack Generation 2016-iii (Full package) is published in 1st post. Containing last patch of AGM-65 bugfix. 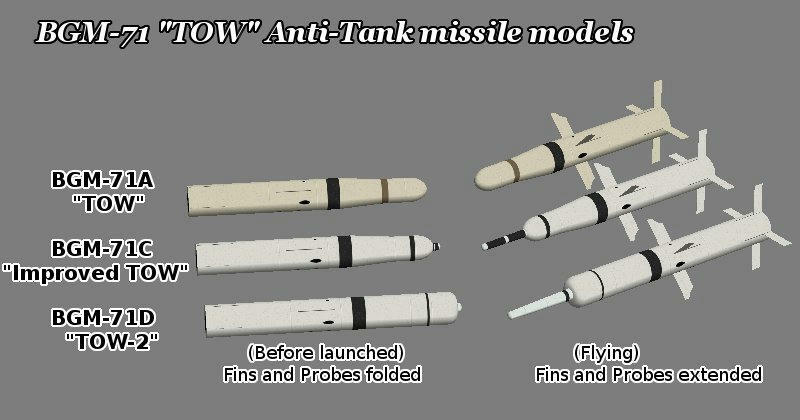 - BGM-71 TOW variant .... BGM-71A "Basic TOW" , BGM-71C "Improved TOW (ITOW)" and BGM-71D "TOW-2"
- AS.34 Kormoran Anti-Ship missile not exploding. All added missile 3d models have +3 level LOD models with texture size decreasing to avoid rendering heavy load. 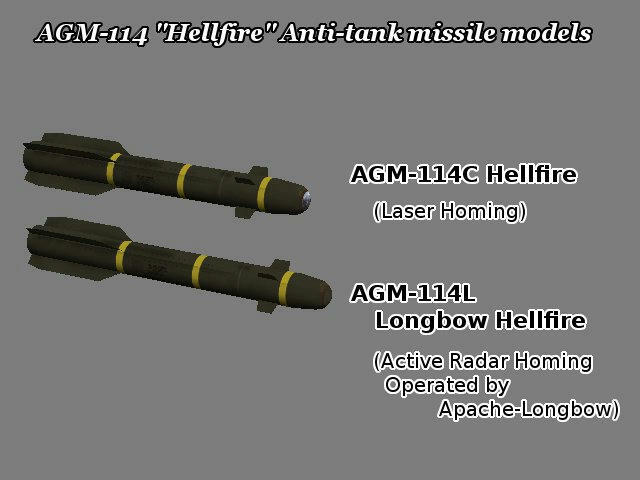 Hi western, do you make pylons and launchers for AGM-114 and Tow? How many days can you wait for them ? Both launchers looks having complex shapes and I'll need a bit longer than simple missile or launcher models. The time you need, I have the 3d tow lanchers by Gio if you need it, are already done. Hi western, tested AGM114C, seems uneffective against T-72 tanks, a bit better vs T-55. Maybe needs a power boost? Wow..i cant keep pace with all the amaze mods and additions !!! a DUMB question, im sure - but how/where does one ADD these new weapons (TOW/Hellfire) to the list of available armamewnts on the aircraft (Apache/Supercobra)? I have added/updated the "Gen..weapons.." file, but no additional listing appear in either of those options? New Weapon pack Generation 2016-iii is in 1st post. - AN/AAQ-13 .... a part of LANTIRN, Navigation and FLIR. Is this latest update of the weapons pack only for 4.12 with full BAT Installation or is it compatible to 4.12 modact 5.3 JTW engine mod 2.11 or does it cover both?